Yesterday, The O.C. 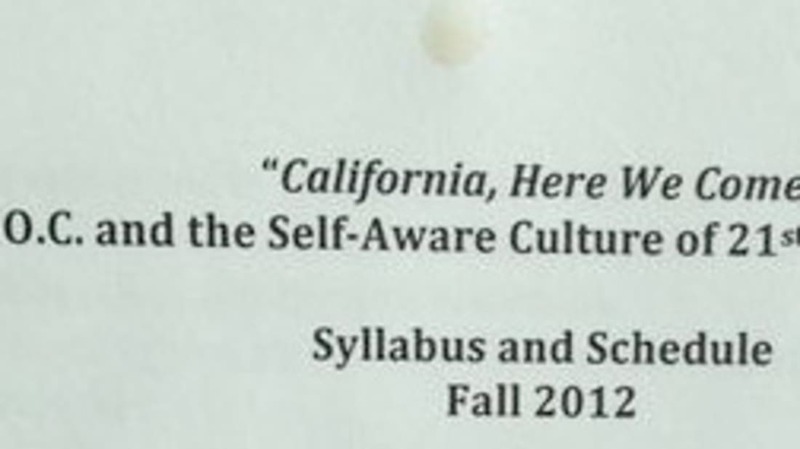 creator Josh Schwartz tweeted a photo of the syllabus for California Here We Come: The O.C. and the Self-Aware Culture of 21st Century America. It's being offered at Duke this semester. We touched on the topic of TV-inspired courses in a sidebar in our last issue, The 25 Most Powerful TV Shows of the Past 25 Years. Here are some non-O.C. classes that have been offered. If you could only enroll in one, which would you choose? Lucas Reilly contributed to this story.